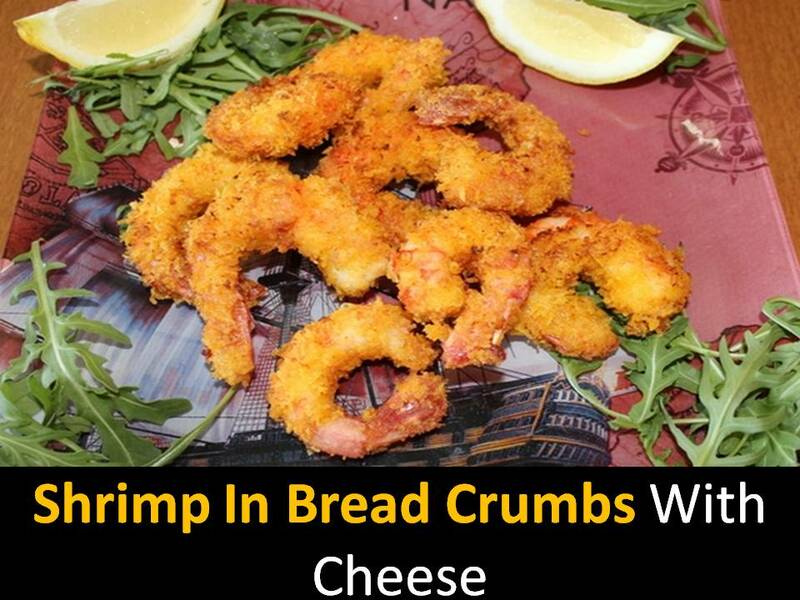 Delicious Shrimp in bread crumbs with cheese which remains when cutting bread, can be cooked in the oven. What do we usually do with bread crumbs? In a breading, in shrimp cutlets and let's bake! It will turn out crispy and can be varied! For the preparation of crispy shrimp in breading it is necessary to choose large mollusks the taste of the dish and its appearance depend on it. Step1 - Peel the shrimp and removing the head and intestinal vein or leave the tail. Step2 - In a pan dissolve the butter and add the vegetable and heat strongly. Dip the shrimps which are pre-dipped in flour then into the egg and bread crumbs with Parmesan cheese. Step3 - Fry the shrimp in bread crumbs with cheese until golden brown. Then take out a slotted spoon and put on a paper towel.